South Elevation on Breckendridge St. The three-story Italianate commercial storefront located at the southeast corner of Breckenridge and Niagara Streets was constructed ca. 1877. John Bowers is noted in the city directory as having a grocery and meat market in the retail space and living in one of the apartments above. 1905: Emory Smith had taken over the business that he maintained until 1914 when Edward E. Boylan opened his own grocery store at 1225 Niagara Street. By 1950 the storefront was a restaurant. 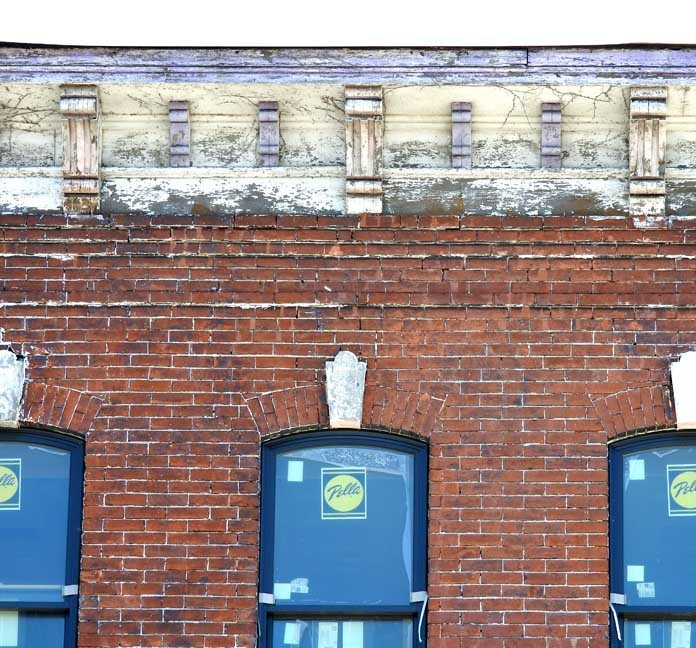 The three-bay, three story brick building features classical Italianate detailing. 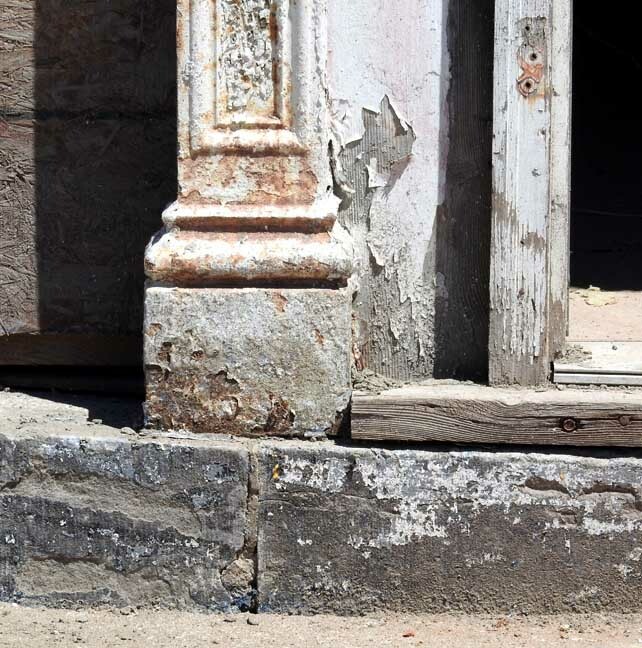 The storefront retains its original parte defined by cast iron columns and pilasters. 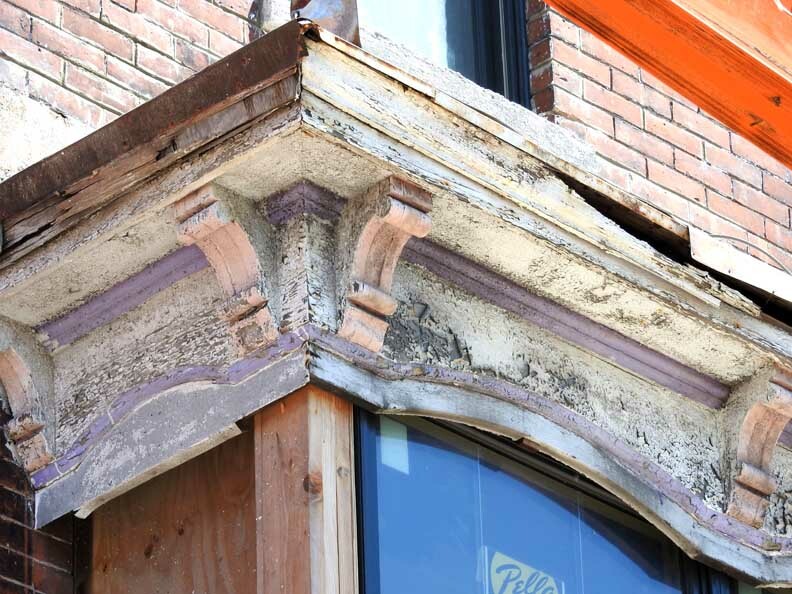 The windows at the second floor feature masonry arches with keystone, while a segmental arch heads the windows on the third floor. 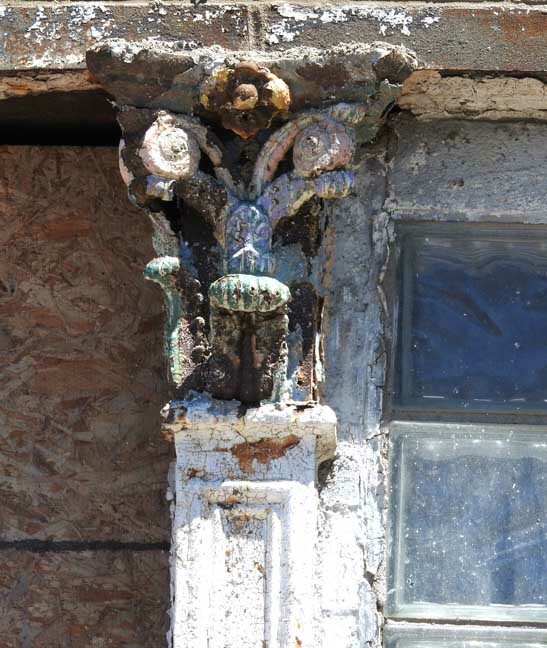 The original one over one double hung sash windows remain extant on the third floor. 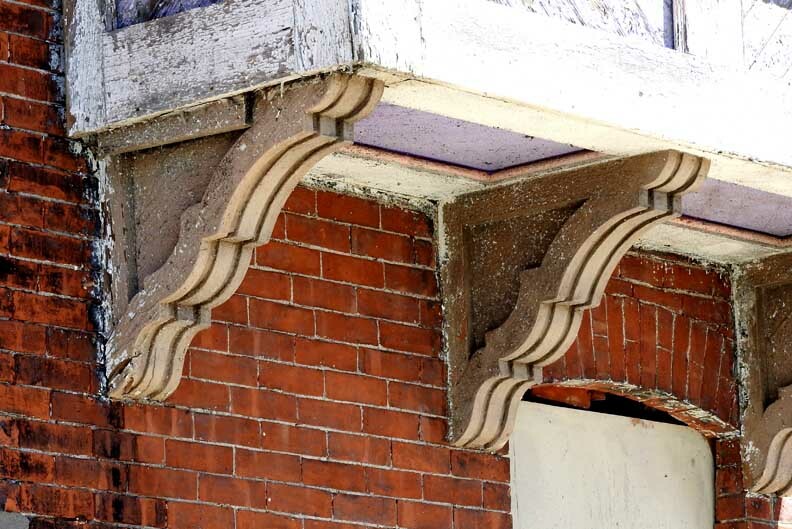 The broad overhanging eaves, detailed with brackets, turns the corner from Niagara Street to Breckenridge Street. 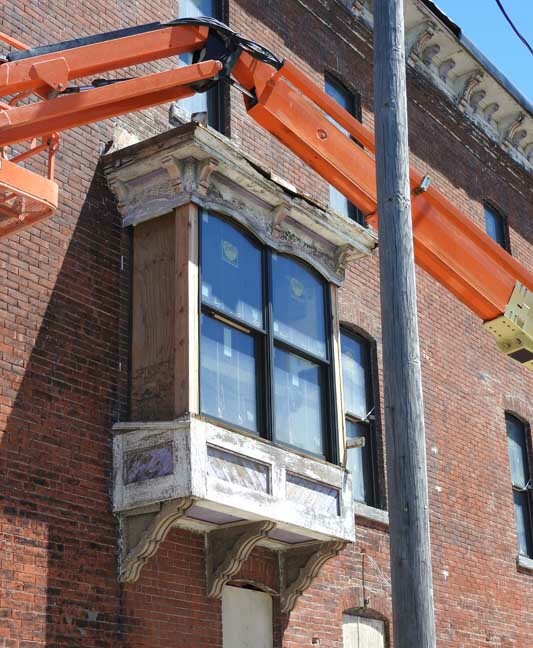 A projecting rectangular bay window is located on the second floor at the second bay in from Niagara Street. The windows, with segmental heads, are functionally located, relative to plan. 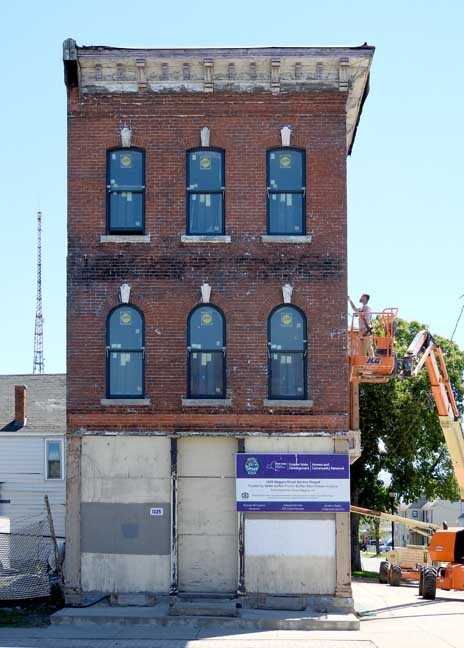 There are no windows on the north elevation since a building was historically located in the adjacent lot. 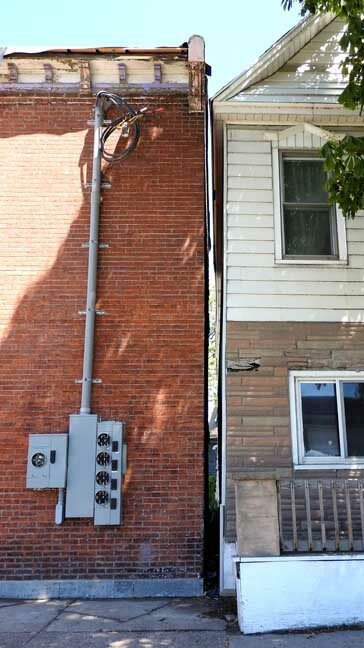 The white is off of 1225 Niagara Street. 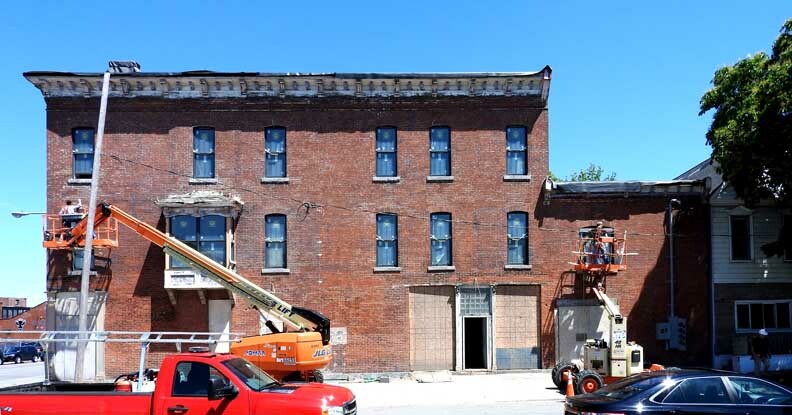 Crews have removed the white paint on the charming three-story building that is located at the northeast corner of Niagara and Breckenridge streets. Bill Breeser is renovating the property. A 2,000 sq.ft. restaurant and three residential units are planned for the building- two one-bedroom units with approximately 600 sq.ft. of living space and a two-bedroom unit with 1,040 sq.ft. 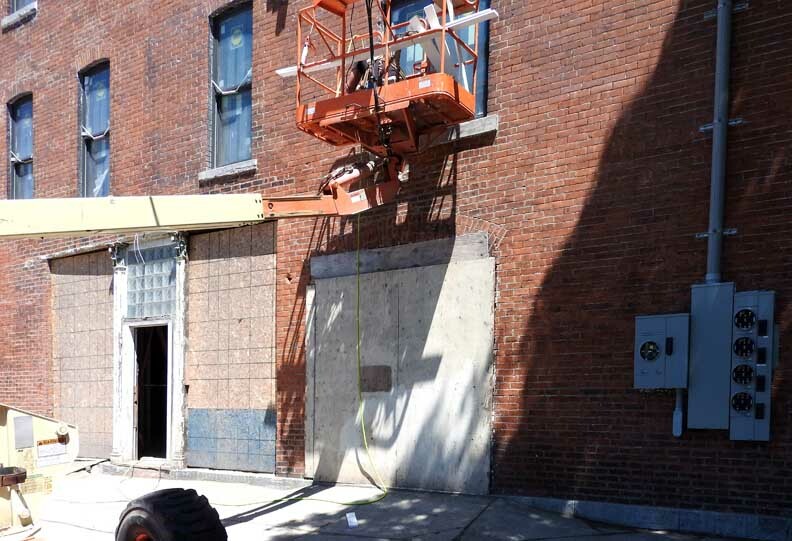 The project was awarded $282,500 in 2015 under the Buffalo Main Street Initiative that focuses on revitalization of neighborhood commercial districts. 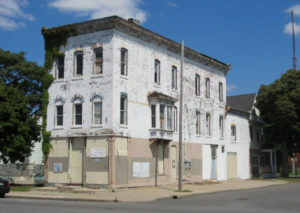 Funding is through the New York State Division of Housing and Community Renewal and administered by the Old First Ward Community Association. 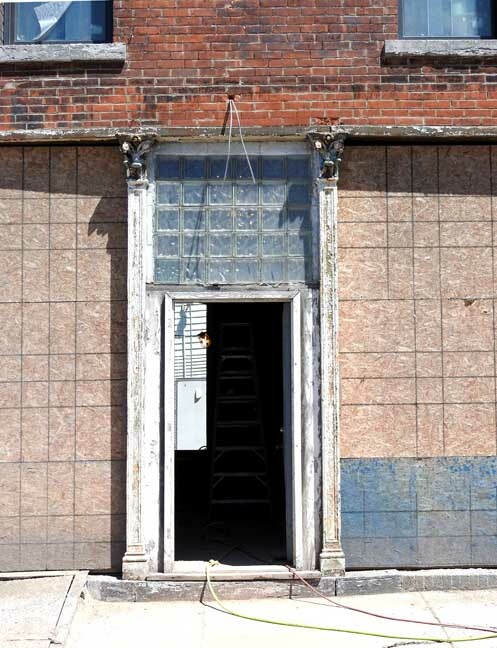 1225 Niagara Street functioned as a grocery and meat market with boarding rooms above. Redevelopment plans were prepared by Carmina Wood Morris. Self professed rookie developer Bill Breeser’s project at 1225 Niagara Street continues to progress. 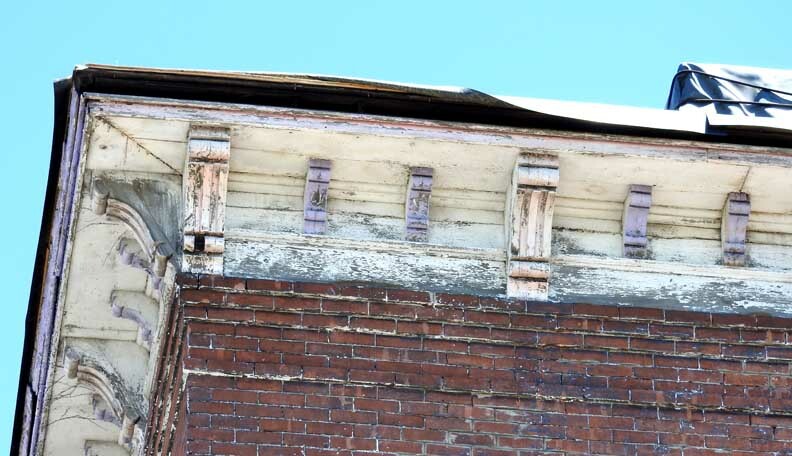 The white paint came off the building this spring, exposing some very nice traditional brick. Now there are new windows throughout the entire building. 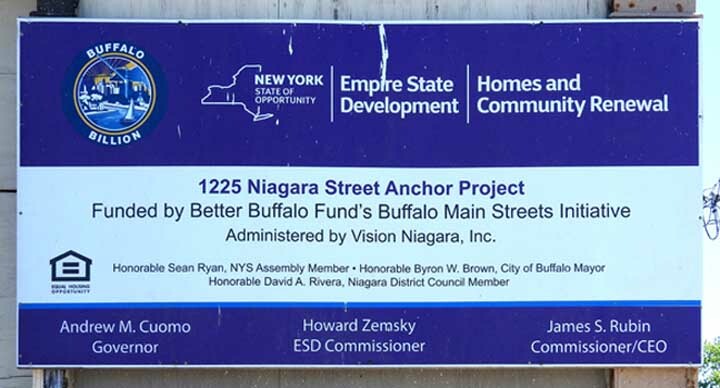 Buffalo Rising reported on this project in early May. 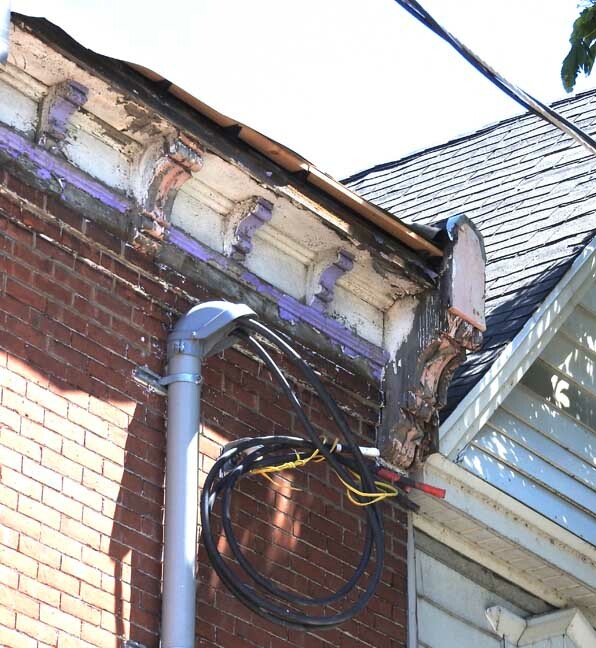 According to Breeser, there are three apartments underway at 1225 Niagara Street – two one-bedrooms on the second floor, and a two bedroom with two bath on the third floor. 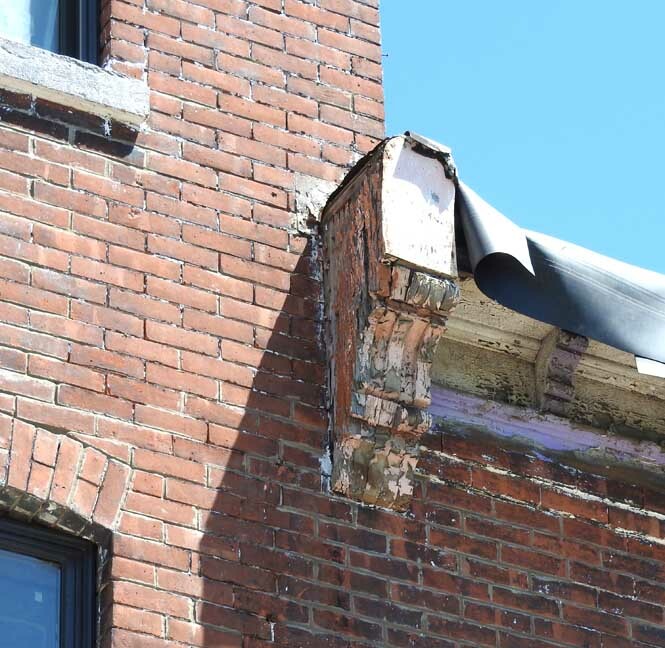 It was a total gut job, but the building was structurally sound, with good bones. In order to accommodate a potential café or restaurant on the first floor, Breeser needed to add square footage to the basement. The basement floor was shot, so he took it out, down to the bedrock. His crew then jackhammered the bedrock out to create more space. A new concrete floor will be poured next week. 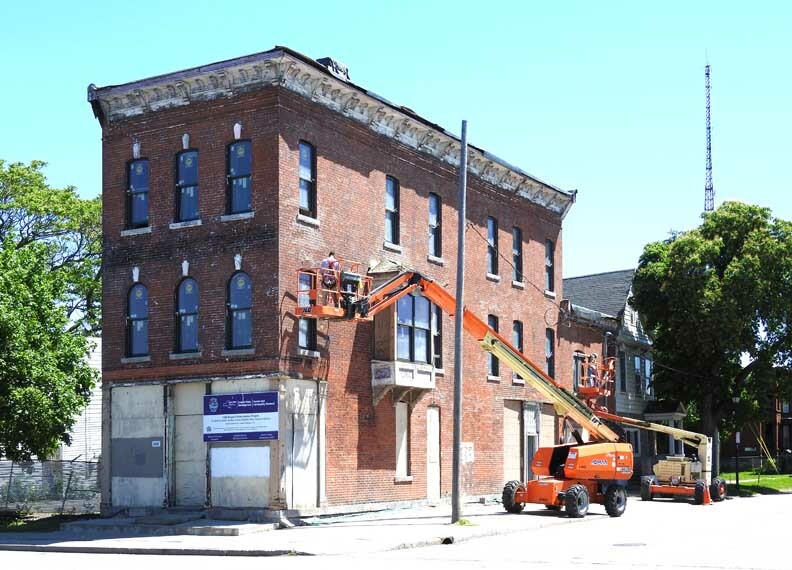 At this point, there is no official commercial tenant, but Breeser did say that the available first floor space is currently 1500 square feet. He also said that the parking lot on the north side of the building could be used to build out the commercial space, adding upwards of 2500 square feet to the business footprint (which would warrant two additional floors of residential above). Breeser said that a couple of restaurants are circling, but there is no lease signed as of yet. He also made sure to mention that the space is not just available to restaurateurs, but to other business ideas as well. The Breeser Group Manufacturing and Development owns the building, as well as every other building on Niagara Street (both sides) from Auburn to Breckenridge, with the exception of the bait and tackle store, which keeps jumping up in price.